Yesterday I travelled around northeast Alberta with Dr. Wayne Nelson, a retired Alberta Fish and Wildlife biologist, checking on Turkey Vultures. 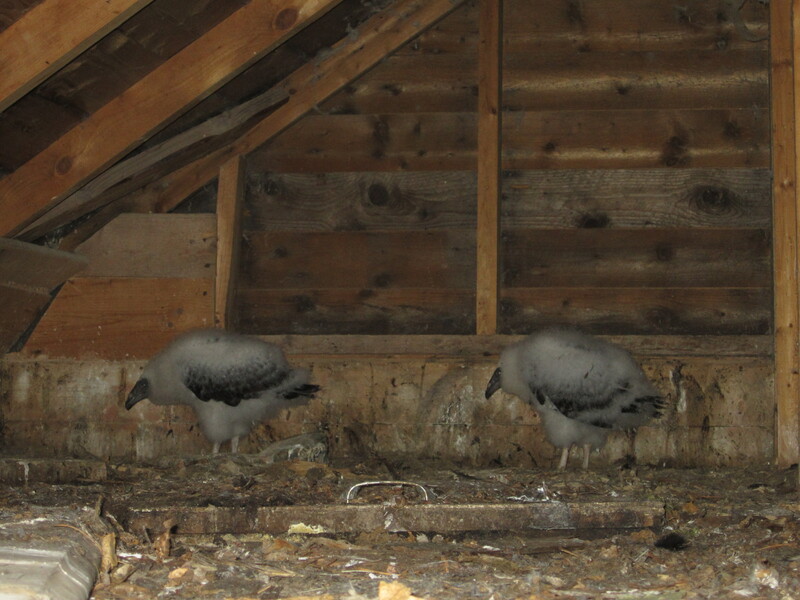 I had contacted Dr. Nelson earlier this year to report a pair of Turkey Vultures at an abandoned building 30 miles or so north of our house. He emailed back to ask if I’d like to join him on his July travels checking abandoned farm buildings for nests, and I said yes! We left at 10:30 am, and our first stop was at the house I reported. Unfortunately, nothing was there. 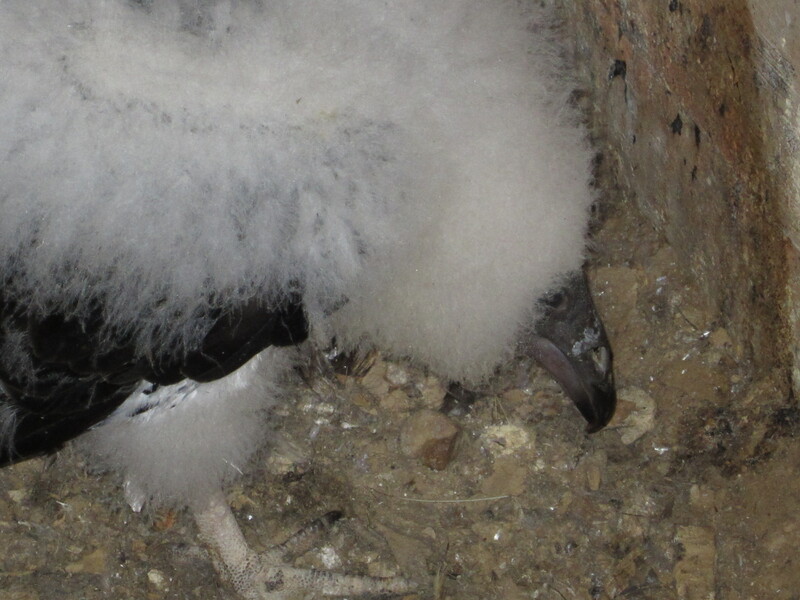 We stopped at five other sites where vultures had been reported this year, and also at some nesting sites reported in previous years, but disappointed again! While driving to the next spot, we saw four adult vultures, but no chicks. 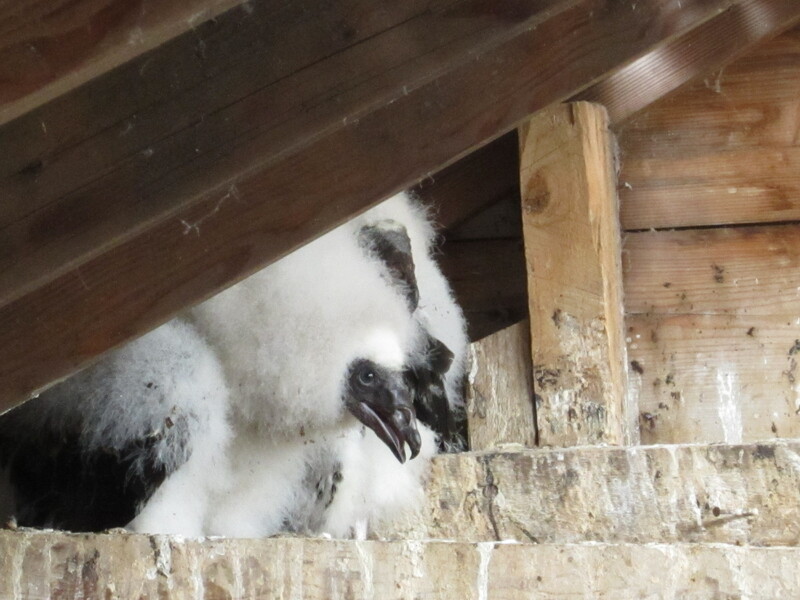 Then, at the next abandoned building we visited, I was very happy and surprised to have my first looks at two young Turkey Vultures! Their hissing is quite loud and if you don’t know where it is coming from, it is quite unnerving, and not many things scare me. The next two buildings we visited each had two young vultures. 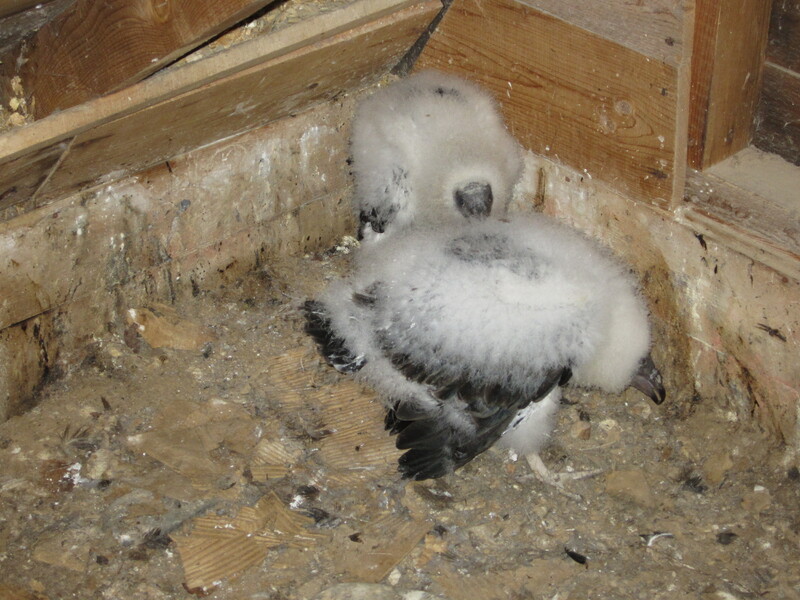 Many of the buildings had Barn Swallows nests in them, and one had an Eastern Phoebe nest. 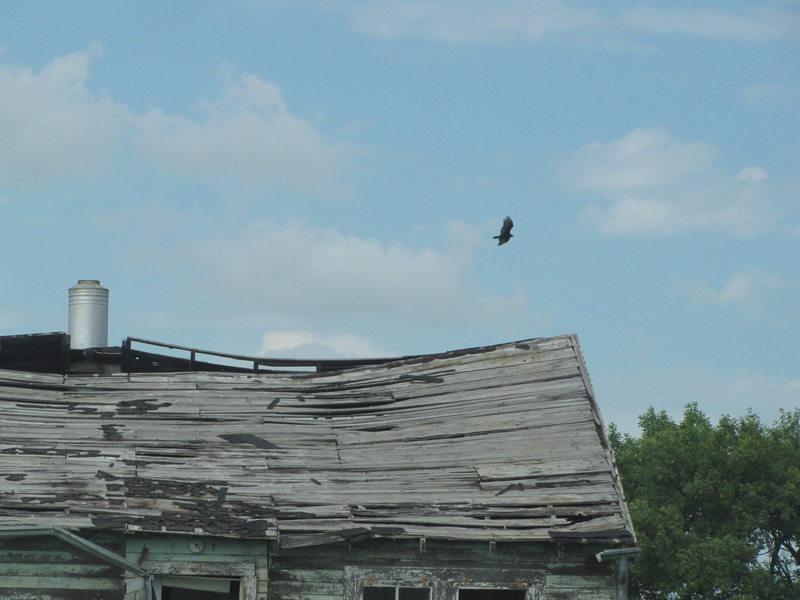 These old buildings are very important if they can sustain Turkey Vultures, Barn Swallows, and Eastern Phoebes nests all under one roof. 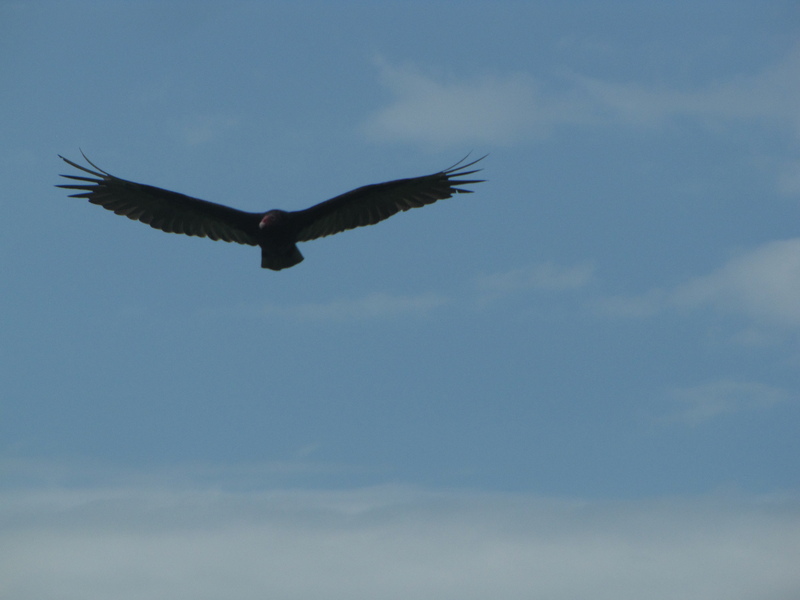 In total, Dr. Nelson and I saw seven adult Turkey Vultures and six young vultures. 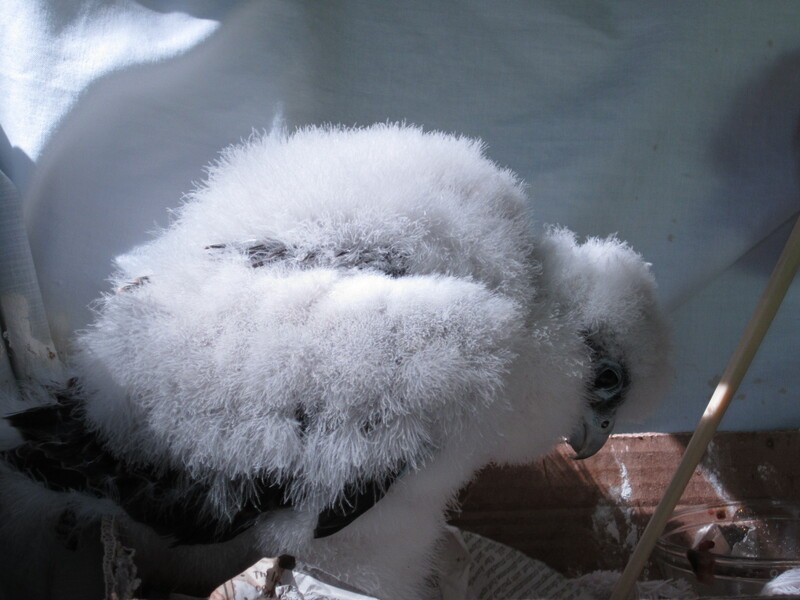 Dr. Nelson estimates that the chicks are about 35 to 40 days old. 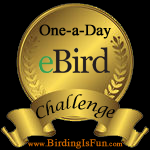 Today was just a scouting trip, and in a few day Dr. Nelson will go back with a licensed Turkey Vulture bander and wing tag them. Thank you very much to Dr. Nelson for taking me along. I had a wonderful time looking at the vultures, and hope to do it again some time! 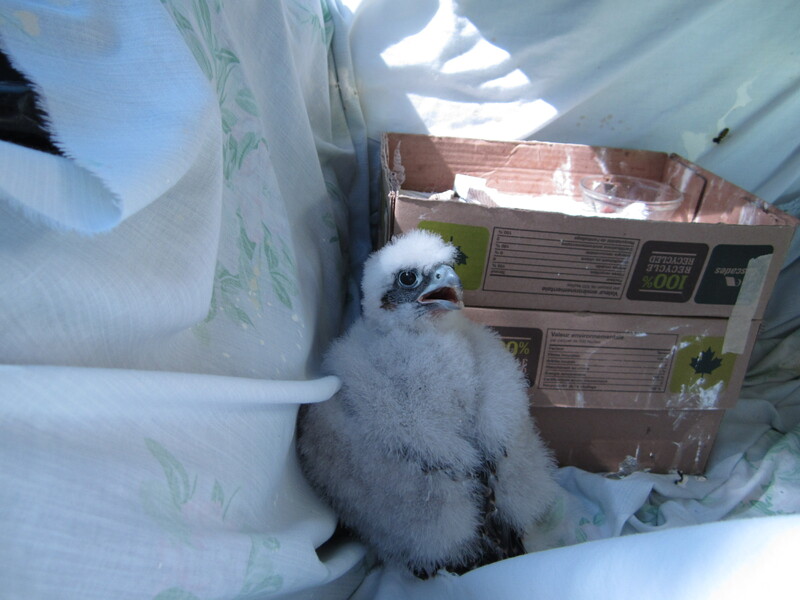 Also, Dr. Nelson is imprinting a young Peregrine Falcon for falconry, and it rides along in his car, in a box. Before yesterday I had never seen a Peregrine Falcon in real life, so it was very entertaining having one in the backseat.